The Israeli military and security measures in and around villages and cities in the West Bank and in occupied Jerusalem using concrete cubes turned them into isolated cantons, according to Palestinian citizens and officials. In the same context, 17 Palestinian civilians, including 7 children, were wounded during other protests against Israeli soldiers' and settlers' practices in al-Aqsa mosque. On 06 November 2014, 3 students at Bir Zeit University were wounded during a protest in the vicinity of Ofer detention facility, southwest of Ramallah. On 07 November 2014, 3 civilians were wounded in a similar protest around Ofer detention facility as well, while 3 others, including 2 children, were wounded in a protest around Qalandia checkpoint, north of Jerusalem. Moreover, a child was wounded during a protest at Hawwara checkpoint at the southern entrance of Nablus. On 11 November 2014, 7 Palestinian civilians were wounded during protests marking the 10th anniversary of the death of Yasser Arafat. In the vicinity of Ofer detention facility, 3 civilians, including 2 children, were wounded. In addition, 2 others, including a child, were wounded in Jabal al-Taweel area adjacent to "Psagot" settlement in al-Bireh. Two other civilians, including a child, were wounded in a protest around Qalandia checkpoint between Jerusalem and Ramallah. 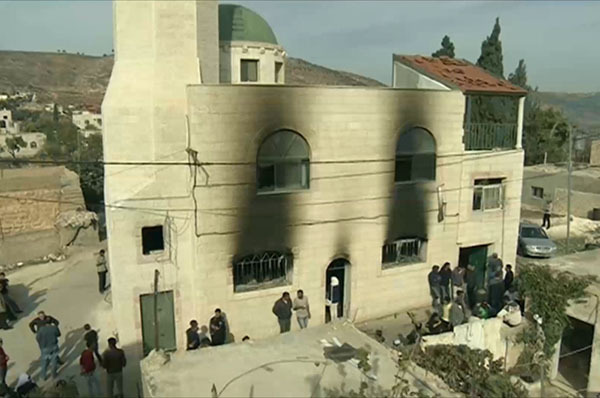 In the same context, 17 Palestinian civilians, including 7 children, were wounded during a protest that was organized against the violations and attacks by Israeli forces and settlers in al-Aqsa Mosque in occupied Jerusalem and protest organized in the 10th anniversary of the death of President Yasser 'Arafat. · Following the Friday Prayer on 07 November 2014, dozens of Palestinian civilians and international and Israeli human rights defenders organized a peaceful demonstration in Bil’in, west of Ramallah, in protest at the construction of the annexation wall and settlement activities. The demonstrators took the streets raising the Palestinian flags and headed to the liberated territories near the annexation wall. Early in the morning, Israeli forces closed all entrances to the city to prevent Palestinian civilians and international and Israeli human rights defenders from participating in the protests. The protestors marched by the annexation wall and tried to cross the fence. Israeli soldiers stationed behind the wall, in the western area, and a large number of soldiers deployed along it, fired live bullets, tear gas canisters, rubber-coated steel bullets, sound bombs and waste water at them and chased them into the olive fields. As a result, 3 civilians were wounded. Kamilia (22), a solidarity activist, was hit by a bullet to the left leg; a 33-year-old civilian was hit by a bullet to the back; and a 19-year-old was hit by a bullet to the right arm. · Around the same time, dozens of Palestinian civilians organised a peaceful demonstration in the centre of Ni’lin village, west of Ramallah, in protest at the construction of the annexation wall and settlement activities. The demonstrators took the streets and headed to the annexation wall. Israeli forces closed the gates of the wall with barbwires and prevented the demonstrators from crossing to the land behind it before they responded by throwing stones. Israeli soldiers fired live ammunition, rubber-coated metal bullets, sound bombs and tear gas canisters at the civilians. They also sprayed waste water at the civilians, and chased them into the village. As a result, many civilians suffered tear gas inhalation and bruises as they were beaten up by Israeli soldiers. · Also at approximately 13:20, Palestinian civilians and international solidarity activists organized a protest in the center of Kufor Qaddoum village, northeast of Qalqilya, heading to the eastern entrance of the village in protest against closing that entrance since the beginning of al-Aqsa Intifada with an iron gate. The demonstrators threw stones at Israeli soldiers, who fired sound bombs and tear gas canisters in response. As a result, several protestors suffered tear gas inhalation. · On Friday afternoon, 06 November 2014, dozens of Palestinian young men from Bir Zeit University gathered around Ofer detention facility, southwest of Ramallah, in support for Palestinian administrative detainees in Israeli prisons. The demonstrators made their way to the prison's gate, which was closed by Israeli soldiers. The demonstrators set fire to tires and threw stones and empty bottles at Israeli soldiers, who fired rubber-coated metal bullets, sound bombs and tear gas canisters. As a result, 3 students were wounded. Moreover, dozens of other protestors suffered tear gas inhalation. The wounded students were: a 20-year-old male, who sustained a bullet wound to the right ankle; an 18-year-old male who sustained a bullet wound to the left ankle; and a 20-year-old male who sustained a bullet wound to the left leg. · On the same day, dozens of Palestinian young men gathered around Ofer detention facility, southwest of Ramallah, to support administrative detainees in Israeli prisons. The demonstrators made their way to the prison's gate, which was closed by Israeli soldiers. The demonstrators set fire to tires and threw stones and empty bottles at Israeli soldiers, who fired rubber-coated metal bullets, sound bombs and tear gas canisters. As a result, 3 students were wounded. Moreover, dozens of other protestors suffered tear gas inhalation. The wounded students were: a 21-year-old male, who sustained a bullet wound to the right ankle; a 20-year-old male who was hit by a gas canister to the right wrist; and a 19-year-old male who was hit by a bullet to the mouth. · Around the same time, dozens of Palestinians gathered at theentrances of Qalandya refugee camp, north of occupied Jerusalem, to organize a protest at the Israeli forces' and settlers' attacks in al-Aqsa Mosque. Israeli heavily armed forces were deployed in the area. The protestors set fire to tires and threw stones and empty bottles at Israeli soldiers, who fired live ammunition, rubber-coated metal bullets, sound bombs and tear gas canisters in response. As a result, 3 civilians, including 2 children, were wounded. A 16-year-old child was hit by a bullet to head, while a 17-year-old child sustained a bullet wound to the right knee, and a 21-year-old male sustained a bullet wound to the right leg. · Around the same time, dozens of Palestinian civilians gathered at the western entrance of Selwad village, northeast of Ramallah, on Selwad-Yabroud road near street (60) to organize a protest against Israeli policies. The protestors set fire to tires and threw stones and empty bottles at Israeli soldiers, who fired live ammunition, rubber-coated metal bullets, sound bombs and tear gas canisters in response. As a result, a number of protestors suffered tear gas inhalation and others sustained bruises as they were beaten up by Israeli soldiers. · At approximately 14:00, dozens of Palestinian boys and children headed to Hawarah checkpoint at the southern entrance of Nablus to organize a protest against the Israeli attacks on al-Aqsa Mosque and threw stones at the stationed Israeli forces. Israeli forces immediately fired tear gas canisters, sound bombs, and live bullets at the demonstrators. As a result, a 17-year-old child from Rafidia neighbourhood in Nablus was wounded by a bullet to the left knee. The aforementioned child was taken to Rafidia Surgical Hospital to receive medical treatment and his injury was described as minor. · At approximately 10:00 on Tuesday, 11 November 2014, a peaceful protest organized by students in Beit Ummar village, north of Hebron, commemorating the anniversary of the death of President Yasser 'Arafat. The students raised Palestinian flags and chanted national slogans. Israeli forces deployed at the entrance of the village while some military vehicles were stationed in 'Asidah area. When the students arrived, a number of whom threw stones at the soldiers, who were deployed among the houses and on the roofs. The Israeli soldiers fired sound bombs, tear gas canisters and rubber-coated metal bullets at the boys. As a result, a number of them suffered from tear gas inhalation. Israeli forces later withdrew and re-stationed at the eastern entrance after the news about the killing of one civilians spread in al-'Aroub refugee camp, north of the city. · Also on Tuesday afternoon, dozens of Palestinian young men gathered from different areas to commemorate the 10th anniversary of President Yasser 'Arafat around Ofer detention facility, southwest of Ramallah. They made their way towards the facility's gate, which was closed by Israeli soldiers. The protestors set fire to tires and threw stones and empty bottles at Israeli soldiers, who fired live ammunition, rubber-coated metal bullets, sound bombs and tear gas canisters in response. As a result, 3 civilians were wounded, including two children. A 16-year-old child was hit by a bullet to the right leg, while a 17-year-old child sustained a bullet wound to the left thigh, and a 20-year-old male sustained a bullet wound to the left leg. · Around the same time, dozens of Palestinian boys and children gathered in al-Tawil Mountain area adjacent to "Psagot" settlement established on Palestinian lands in al-Bireh and threw stones at the stationed Israeli forces. Israeli forces immediately fired tear gas canisters, sound bombs, and live bullets at the demonstrators. As a result, a 14-year-old child was wounded by a bullet to the left knee while a 20-year-old civilian was hit by a bullet to the face. · At approximately 15:00, dozens of Palestinians gathered at the entrances of Qalandya refugee camp, north of occupied Jerusalem, to commemorate the 10th anniversary of the death of President Yasser 'Arafat. Israeli forces were deployed in the area. The protestors set fire to tires and threw stones and empty bottles at Israeli soldiers, who fired live ammunition, rubber-coated metal bullets, sound bombs and tear gas canisters in response. As a result, a 15-year-old child was wounded by a bullet to head while a 20-year-old civilian was hit by a bullet to the left thigh. They were both taken to Palestine Medical Complex to receive medical treatment. · Hebron: Israeli forces have continued to impose severe restrictions on the movement of Palestinian civilians. At approximately 06:30 on Thursday, 06 November 2014, Israeli forces established a checkpoint at the entrance of Beit ‘Awwa village. The checkpoint was removed, and no arrests were reported. · Ramallah: Israeli forces have continued to impose severe restrictions on the movement of Palestinian civilians. 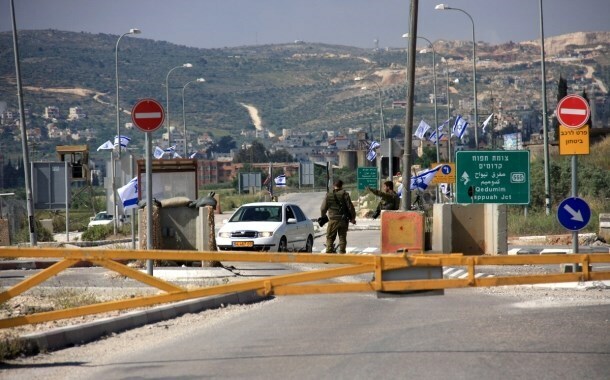 At approximately 10:30 on Thursday, 07 November 2014, Israeli forces established a checkpoint at the entrance of ‘Aboud village and another one at the entrance of Deir Abu Mesh’el village. At approximately 20:30, Israeli forces established a checkpoint at the entrance of Termisia village, north of the city. All checkpoints were removed later, and no arrests were reported. · Jericho: Israeli forces have continued to impose severe restrictions on the movement of Palestinian civilians. At approximately 10:30 on Friday, 07 November 2014, Israeli forces established a checkpoint at the entrance of Fasayel village, north of Jericho. At approximately 20:00, they established a similar checkpoint at the southern entrance of the city. They withdrew later and no arrests were reported. · Jenin: at approximately 11:30 on Monday, 10 November 2014, Israeli forces closed al-Jalama checkpoint between the city and Israel. An hour later, they re-opned the checkpoint without stating the reason. · Qalqilya: Israeli forces have continued to impose severe restrictions on the movement of Palestinian civilians. At approximately 10:30 on Thursday, 06 November 2014, Israeli forces established a checkpoint at the entrance of ‘Azzoun village, east of Qalqilya. At approximately 23:30, they withdrew and no arrests were reported. · Tulkarm: at approximately 17:010 on Thursday, 06 November 2014, Israeli forces stationed at ‘Annab checkpoint, which is established at the road between Tulkarm and Nablus, tightened their restrictions. Later, the tightening ended and no arrests were made. The tightening repeated on Saturday, 08 November 2014, Sunday, 09 November 2014, and Monday, 10 November 2014. · At approximately 10:00 on Monday, 11 November 2014, Israeli forces deployed in the Old City in Hebron arrested Kamel Muhammad Jineid (22) under the pretext of not obeying the soldiers. He was taken to Jabara police station. Later, he was released and handed to the Palestinian liaison. · At approximately 11:00, Israeli forces stationed at the entrance if “Gosh Itsion” settlement arrested Bilail Talal Abu Aeisha (20) when he headed to meet Israeli intelligentsia then took him to an unknown destination. · At approximately 16:00 on Tuesday, 11 November 2014, Israeli infantry force moving form Beit Amr village, arrested Abd Raed Alqam (13) in Asida village. They were moved to the military tower at the entrance of the village. He was taken to an unknown destination. · At approximately 16:00 on Wednesday, 12 November 2014, Israeli forces deployed at the entrance of Beit Ainoun, east of Hebron, arrested Aida Ahmed Jabarin then took her to an unknown destination.